We’d love to host your ad here at My Wine Education. By advertising on My Wine Education, you’re getting your name and business out in front of our readers. 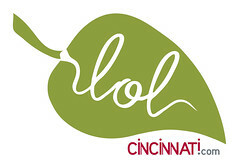 We have a subscriber base rooted in the Greater Cincinnati area. Advertise your store, your wine shop, or your web site! Advertising rates are low-cost and available on a 3-month, 6-month, and annual basis. All you need to do is provide a small graphic (150 pixels wide) and, if relevant, a link to your site. Your ad will display in the right-hand column of the site. Please note, we do not offer placement for banner ads or in-post advertising. Contact Michelle for advertising rates.